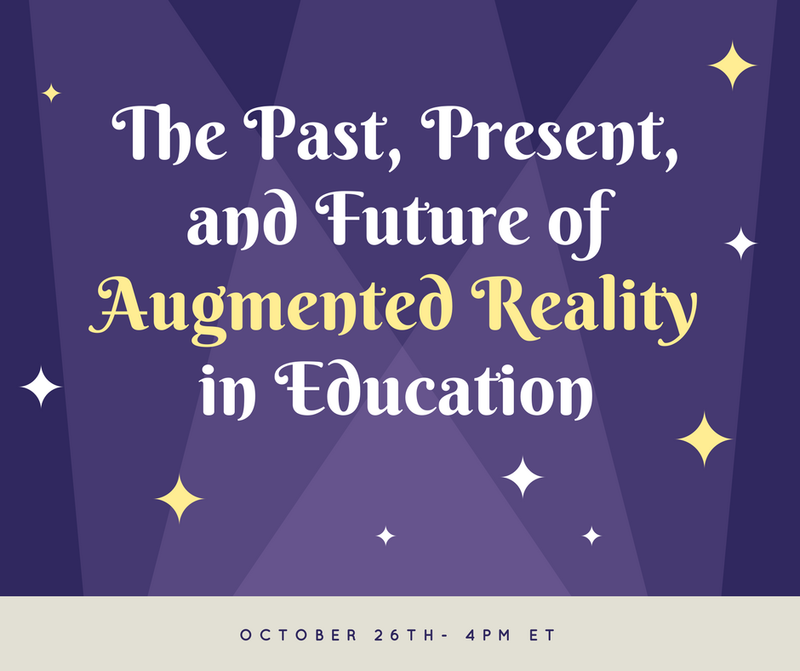 Nearly two hundred of you have registered for my free webinar titled The Past, Present, and Future of Augmented Reality in Classrooms. The webinar was originally scheduled for tomorrow. I have had to reschedule the webinar for next Thursday (October 26th) instead of tomorrow. The reason is that we're having a baby (about a week early). Sorry for the inconvenience to those who had planned to attend the webinar tomorrow. You can register for the webinar here. If you were already registered for tomorrow's webinar, you don't need to register again. The webinar will be recorded for those who cannot attend the live session. 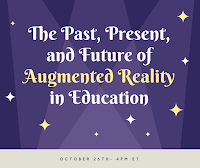 In the meantime, take a look at Metaverse and how your students can use it to create their own augmented reality applications.